Welcome to the Trinity Campus of Buncombe Street United Methodist Church! Our Trinity Campus became part of the Buncombe Street family in July of 2017, after the congregations of both churches voted in favor of BSUMC “adopting” the former Trinity United Methodist Church. Reverend Ben Burt was appointed to Buncombe Street as the Trinity Campus pastor, and he has been embraced by both legacy Trinity members and Buncombe Street members alike. Although the Trinity Campus currently offers one traditional service on Sunday mornings, plans are underway for a contemporary service at this campus as well. 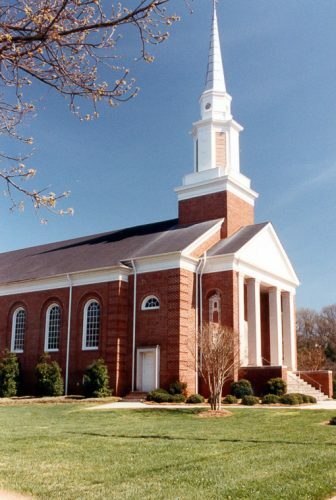 The Trinity Campus is located at 2703 Augusta Street, in the heart of Greenville’s popular Augusta Road neighborhood.